Changing your account password is an easy three-step process. 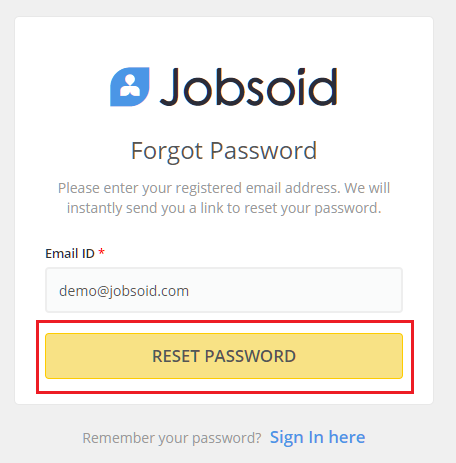 If you have forgotten your password as a result of which you cannot access your Jobsoid account, follow the below mentioned simple steps. You will receive an email having the link to reset your password in your mailbox.